Noida and Bhubaneshwar-based Lal10, which operates an online marketplace that connects artisans and bulk buyers, has raised an undisclosed amount in a pre-series A funding round from a clutch of investors, a top company executive told TechCircle. The investors who participated in this round include TT Jagannathan, the chairman of TTK Prestige Group; Chand Das, former chief executive of stationery and education products at ITC; Akhilesh Krishnan, chief financial officer of Apollo Hospitals; and Suresh Kumar, former managing director of ITC Hotels, besides undisclosed US-based investors, the person mentioned above said. Impact investment firms Intellecap and Villgro Invent also participated in the round. Bhagwandas Retail Pvt. Ltd, which operates Lal10, will use the funds to develop new designs, hire resources and for working capital requirements, co-founder and CEO Maneet Gohil told TechCircle. “A good part of the funds will be utilised in incorporating technology to source products in real time to bulk buyers across the globe directly from our artisan network,” Gohil added. The startup, which is part of San-Francisco based GSBI Accelerator’s 2018 cohort, is also looking to raise its Series A round within the next few months. “We have commitments from existing investors and potential US-based investors for the second round of investments,” Gohil said. The startup was founded in 2014 by Gohil, Sanchit Govil, and Albin Jose. 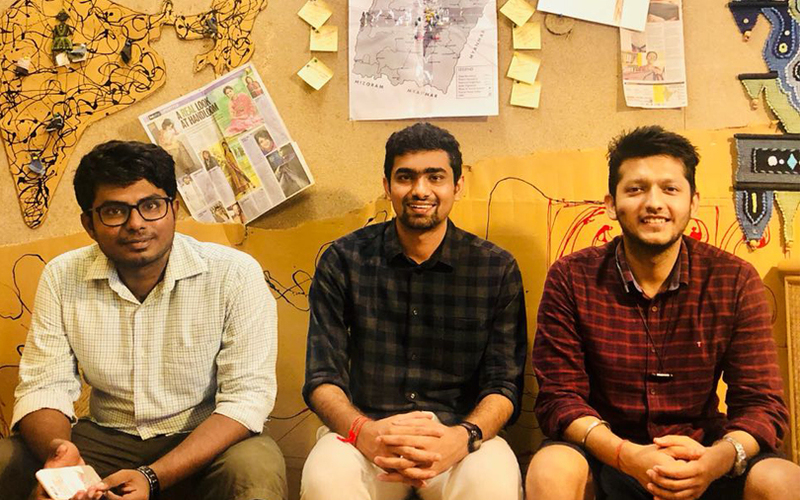 The four-year-old venture is an online marketplace that connects Indian artisans with bulk buyers across the globe. It directly works with about 9,054 artisans, thus ensuring a fair and transparent pricing mechanism. Lal10 has over 300 B2B clients spread across 18 countries and counts Inditex (Zara), FabIndia and Reliance AJIO, etc. as its clientele. “This is a sector that has not been touched greatly by technological innovations that have been happening in the past few decades. This gives scope to create immense disruption in this sector with the right technology,” Jose, co-founder and vice president at Lal10, told TechCircle. Besides a marketplace, the startup also runs an in-house design team that works directly with the artisans to help them create contemporary designs, which are otherwise traditional, for their products, Govil told TechCircle. "The global bulk buyers, especially retailers, appreciate our platform due to this," he explained. A Delhi College of Engineering (DCE) alumnus, Gohil was formerly a management trainee in the strategy and design vertical at homegrown e-commerce major Flipkart. Co-founder and chief operating offier Govil, who joined in 2015, also graduated from DCE and was formerly a management trainee in the supply chain design vertical at Flipkart. The third co-founder Jose, who joined the venture in 2016, is a graduate from IIT Madras and had previously worked for education management firm Avanti. A number of ventures in the broader B2B e-commerce sector have recently raised funding. In this month alone, fashion and lifestyle supply chain digitisation platform Wholesalebox and online procurement portal for office supplies Kobster have raised capital. Last month, Aahaa Stores, an online B2B store for office supplies, raised $2 million (around Rs 13.6 crore) in a fresh round of funding from UAE-based investment group Calega.